First off, I must convey massive and sincere gratitude for making this solo acoustic tour such a joy so far. Any bit of trepidation that I might have had about setting out on the road on my own after a year’s worth of Contenders gigs, was quickly obliterated by your support. Thank you…a million times. I am fully familiar with the excitement (an anxiety) that the holiday shopping season brings. With that in mind, I’m offering a few holiday ‘specials’ this week. Everything in the JN and Contenders online store is 15% off now through December 6th. 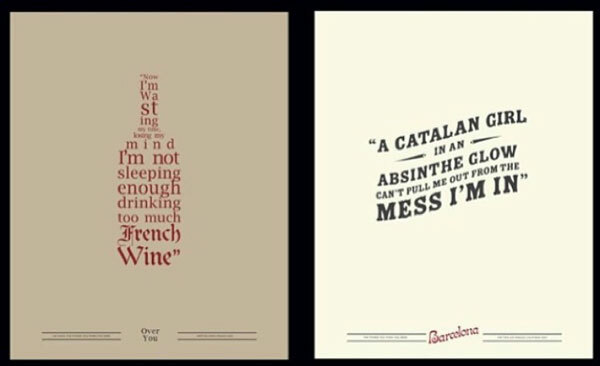 We just put up a big selection of incredibly cool looking tour posters, N*A*S*H and Contenders shirts are available in lots of sizes and colors AND the ‘Barcelona’ and ‘Over you’ lyric posters are back in stock. It’s been a lot of fun making the rounds, revisiting my old records and learning about how different songs connect with different people and how they have found their way into peoples lives. That kind of connection is actually one my favorite things about making music. So that got me thinking about this gift idea that will be available beginning today through Tuesday, December 15th. You can give someone you care about a handwritten, signed and personalized lyric sheet to any one of my songs. If you’d like to take it over the top, I will even record a custom acoustic version of the song in my studio, personalized with an audio greeting. I have a few more shows left before we a bow on 2015 and call it a year. Next up is one of my favorite rooms in the world – SPACE in Evanston, IL. Graham Colton and I will be sharing the bill for a very special, one night only event. On Monday, December 14th at 7pm PST / 10pm EST, I will play a live broadcast concert from my home studio. I’ve continued to make upgrades to my studio and network so that we can bring you the show in HD with high resolution audio. The show ‘pay what you want’, so please come one, come all and make an evening of it! These online events have become such a cool way of connecting folks from all over the world in a single musical event. 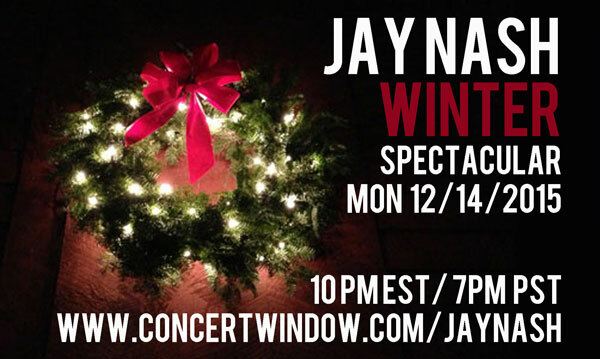 RSVP at www.concertwindow.com/jaynash . If there are any songs that you would like to hear, please tweet at me (@Jay_Nash) or post to my facebook wall (@jaynashmusic). I’ll be recording the show as well! Thank you all for an amazing year. Talk soon and see you out there.